Degenerative disease of the knee joint, also called gonarthrosis, is a disease entity mostly characterized by pain and a progressive dysfunction of the knee joint. This disease most frequently affects women, obese people, and the elderly. Also, it often occurs bilaterally. Nowadays gonarthrosis is considered to be of the most common causes of disability worldwide. The degenerative changes most frequently occurring in human body are the knee joints diseases . This is connected with their complex and complicated construction and mechanism of functioning. These joints are exposed to greater overload and faster wear, even when the static disorders of the body appear. 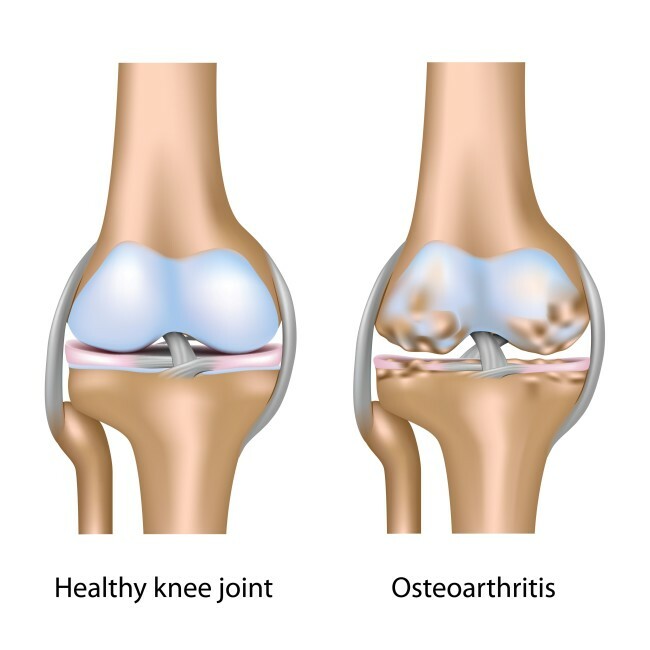 Osteoarthritis of the knee is a progressive disease and it affects all the elements forming the joint:- the articular cartilage - the subchondral layer - the synovial membrane - the joint capsule and the ligaments. 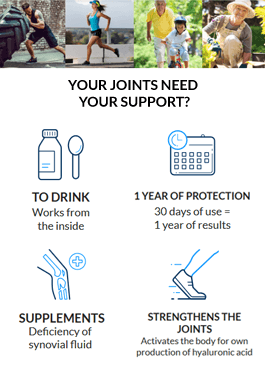 Did you know that low levels of synovial fluid are a major cause of inflammation in the joints? The pain appearing during movement causes that the patient suffering from gonarthrosis is trying to save the affected limb by limiting their physical, and often professional activity, which leads to restriction of mobility in the joint, and even contractures mainly in a bent position. At a further stage of the development of the disease, pain also occurs at rest, and the outline of the joint is permanently thickened and distorted. During walking, the patient rotates the lower limb to the outside, limps and leans the torso to the front and to the side. The step length is then reduced, and the phase of burdening the diseased lower limb is shortened. difficulty in the performance of flexion and extension of the knee in full range- mild swelling caused by effusion and synovial thickening- redness and increased temperature in the area of the knee joint- particularly after exercising or other effort- compression tenderness- characteristic crackling and creaks during movement, caused by the articular surfaces rubbing against each other (so called crepitation) - the atrophy of the quadriceps femoris muscle (especially the medial head)- the morning stiffness. At the beginning, the degenerative process affects only the articular cartilage, leading to its premature wear. However, the process of destruction of the articular cartilage gradually results in the abnormal growth of bone tissue in the knee joint area , which, in turn, leads to the deformation of the joints. As the degenerative changes develop, the articular cartilage ceases to perform its functions . As a result of the loss of its elasticity, the cartilage becomes more susceptible to shocks and damage. The synovial membrane is subject to swelling and the enhanced vascularization , whereas the joint capsule undergoes hypertrophy , thickening and cicatrisation (scarring). Pain is localized mostly in the front or the medial part of the knee joint and in top-medial part of the lower leg. The pain emerging during the movement impels a patient to avoid the movement of the affected limb by limiting both their physical and professional activity, which leads to restrictions of the mobility in a particular joint, and even the contractures occurring mainly in the flexural position. 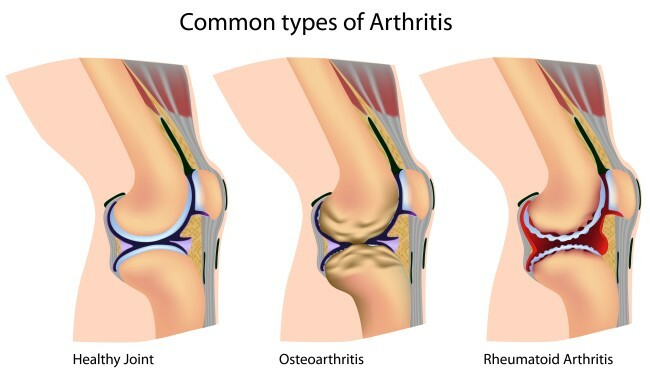 In a further stage of the disease development, the pain also occurs during rest, and the contour of the joint becomes permanently thickened and deformed. During the walk patients rotate the lower limb outwards , limp and lean the trunk to the front and to the side. The length of the stride is then shortened, and the duration of the lower limb loading is reduced. The degenerative changes of the knee joint are normally diagnosed on the basis of radiological images. The presence of osteophytes , that is, the bone growths on the edges of the articular bone of the femur and the tibia is the primary diagnostic criterion of gonarthrosis. Osteophytes irritate the adjacent tissues , causing inflammation. In the radiological images of the knee joint affected by the degenerative process, the stenosis of the articular surfaces can be observed, as well as the presence of intra-articular loose bodies and the deformation of the joint axis. Clinically, three different types of gonarthrosis can be distinguished, depending on the location of the destructive changes in the articular cartilage. The medial form, in which the largest narrowing of the joint space is observed between the medial femoral condyle and medial tibial condyle. It frequently occurs among the obese people suffering from hallux varus. The second form of the degenerative disease of the knee is the femoropaterral form in which the narrowing of the joint space occurs between the patella and the femur.